On behalf of the entire staff at Spaceport America, we wish you a Happy New Year! As we start 2015, it seems appropriate to provide a “State of the Spaceport.” Since the Virgin Galactic mishap on October 31st, there has been much speculation about the status and future of Spaceport America. So here are the facts. Spaceport America is an FAA licensed commercial spaceport supporting horizontal and vertical launches with a 12,000 foot runway and multiple vertical launch pads. The spaceport’s iconic facilities have been officially recognized internationally as architectural marvels. The spaceport has hosted 21 vertical launches to date, the most recent on October 23, 2014 and has bookings into the summer. The spaceport has hosted 13 special events such as automotive and fashion photo-shoots including Kawasaki, Jaguar Land Rover, GM, Dodge, Nike and JCrew. These events not only bring revenue to the spaceport but also provide free global advertising. Every marketing campaign is a statement that New Mexico is open for business and ready to excel. And locally each event at Spaceport America brings with it economic activity and opportunity for the surrounding communities to provide goods and services. Follow the Sun Tours, based in Sierra County, has conducted over 350 spaceport tours and our “Visitor Experience” is not even officially open yet! We have supported several student events and are supporting two more within the next few months. The spaceport has two tenants: Virgin Galactic and SpaceX, two of the most highly regarded companies in the commercial space industry. Although Virgin will be delayed in its first passenger spaceflight from the spaceport, it is making excellent progress on the second spaceship. Virgin remains fully committed to operating the first commercial spaceline at Spaceport America. SpaceX has invested approximately $2 million in improvements to its launch area at the spaceport and is planning to begin flight testing the Falcon 9R in the spring. The Falcon 9R is a real game changer featuring vertical launch AND vertical landing! We are also very proud to be able to support UP Aerospace flights. 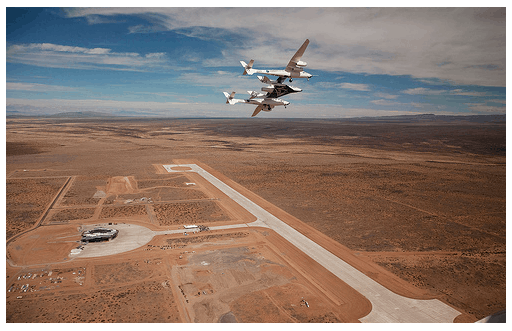 UP, a long time spaceport customer, is under contract to NASA to provide suborbital flight opportunities to payload providers and technologists. UP has flown 13 times at the spaceport. The last UP flight set a spaceport altitude record at 77.28 miles. We are also in discussions with several other aerospace related ventures. To date, we have employed over 1400 New Mexicans. With very few exceptions, contracting has been with New Mexican companies. The Visitor Experience contract is one of the few exceptions. It was awarded to IDEAS of Orlando, Florida, which has previous experience in developing Disney Theme Parks around the world. However, even this contract had a New Mexico architect of record who designed the spaceport Visitor Center facilities. I am happy to report that many fun and educational exhibits will be available to our guests beginning in March in the Gateway Gallery, 4000 square feet in the Gateway to Space building. The return on the taxpayer investment in Spaceport America has already begun and it will continue to grow. As I have often said, it is not a matter of IF the commercial space industry will succeed and thrive but WHEN. It is not easy to be the first in an emerging field but it is exciting, with an opportunity for fantastic rewards. We appreciate your continued support and look forward to seeing you at the spaceport in 2015.